Motorola‘s Low priced phone Moto G changed the rules of mid range smartphones all over the world. Moto G shown that user dont need to compromise on quality to get an affordable smartphone with decent specifications. Moto G still one of the latest smartphone with Android 4.4 KitKat operating system. Other companies started updating Android to 4.4 now. Now Motorola is working on a new smartphone Moto E which is priced much lower than the best selling Moto G with decent features. This will definitely change the low end phone market with android. 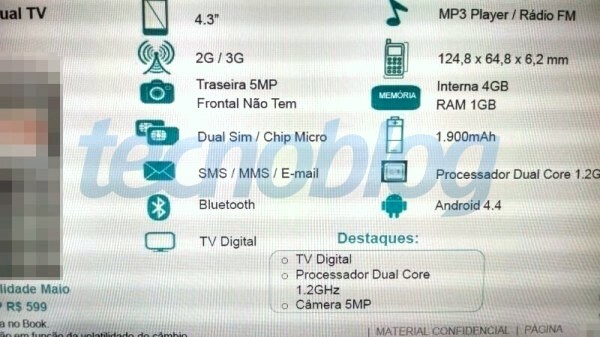 The Moto E is rumored to have slightly lower specifications with a 4.3-inch 720p screen, a dual core processor and 4GB internal memory. Even with hardware that is a step lower than the Moto G. Moto E will give enough power for most users for their daily operations. The internal memory might be low but Motorola has been wise enough to provide a micro SD expansion slot for media storage which was missing in case of the Moto G.
XT1025 dual SIM with digital TV. 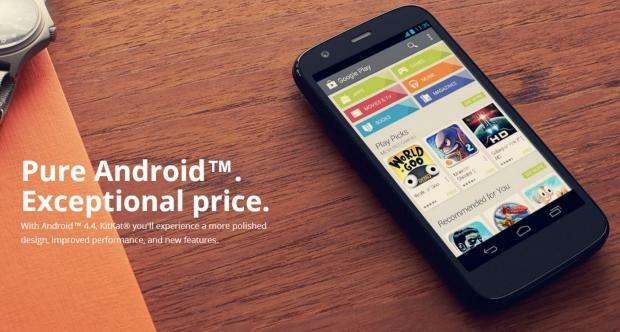 The Moto E is expected to launch sometime in May 2014 in the emerging markets.